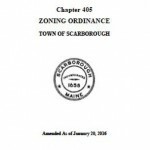 Scarborough accommodates development in a variety of areas throughout the Town. From Haigis Parkway to Oak Hill to Dunstan, Scarborough promotes both new development as well as redevelopment consistent with an articulated strategy defined in the Town’s Comprehensive Plan. We’ve highlighted these distinct areas appropriate for commercial growth and redevelopment. Each growth area section includes a map, the specific zoning district and utilities.